Located in Sacramento, Altec Systems Inc. is a privately held California corporation founded in 1988 to provide document and data management services. 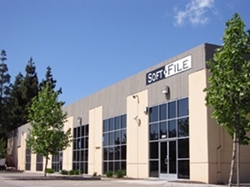 By the late 1990's, the company began doing business as SoftFile, in order to better identify with paper to electronic document conversion. People often use the term 'soft file' to refer to an electronic copy of a file. Copyright © 2016 - All Rights Reserved - Altec Systems, Inc.